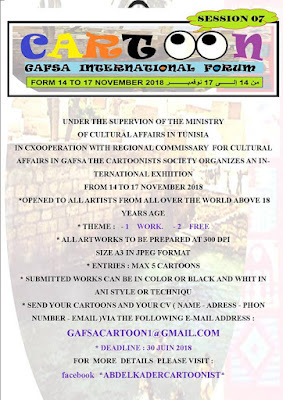 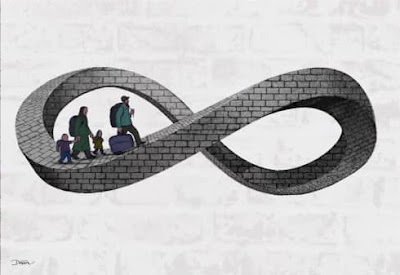 The International Caricature and Graphic Satire Salon 2018 Vaslui Romania.. 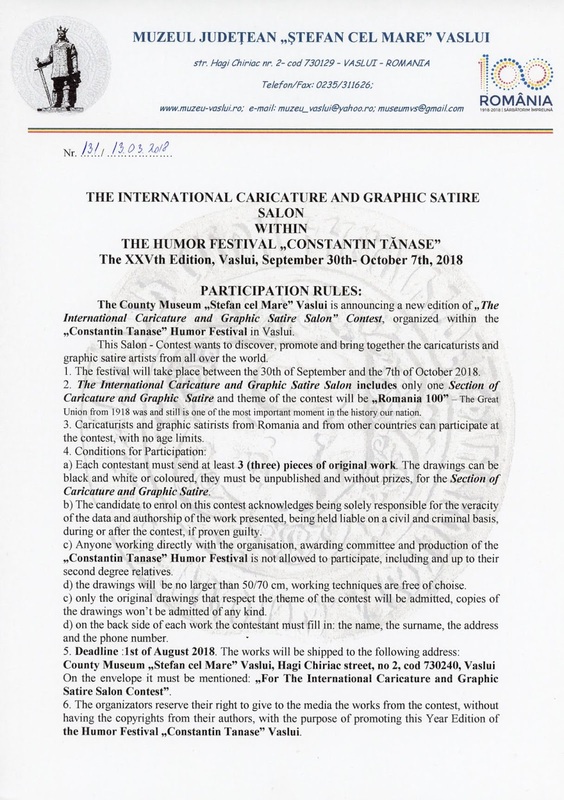 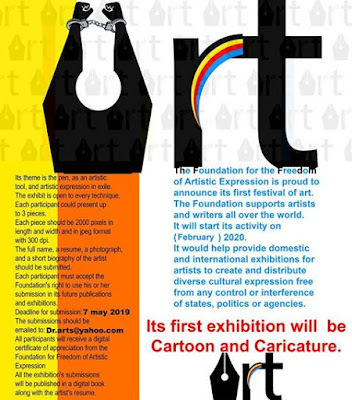 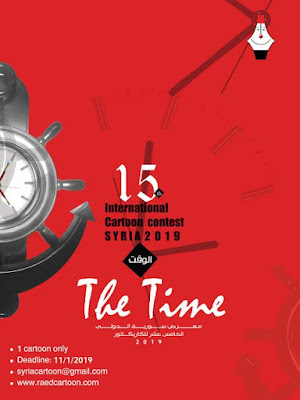 The Country Museum "Stefan cel Mare" Vasliu is announcing a new edition of 'The International Caricature and Graphic Satire Salon' Contest, organized within the "Constantin TANASE" Humor Festival in Vaslui. 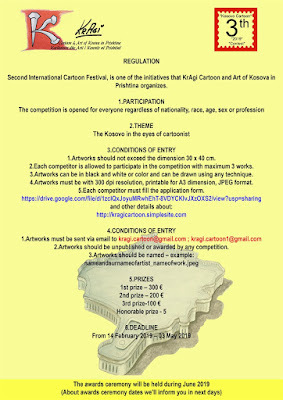 - The drawings will be no larger than 50x70 cm, working techniques are free of choise. 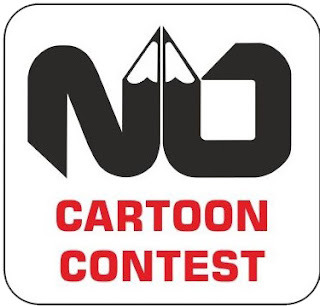 - Only the original drawings that respect the theme of the contest will be admitted, copies of the drawings won't be admitted of any kind. 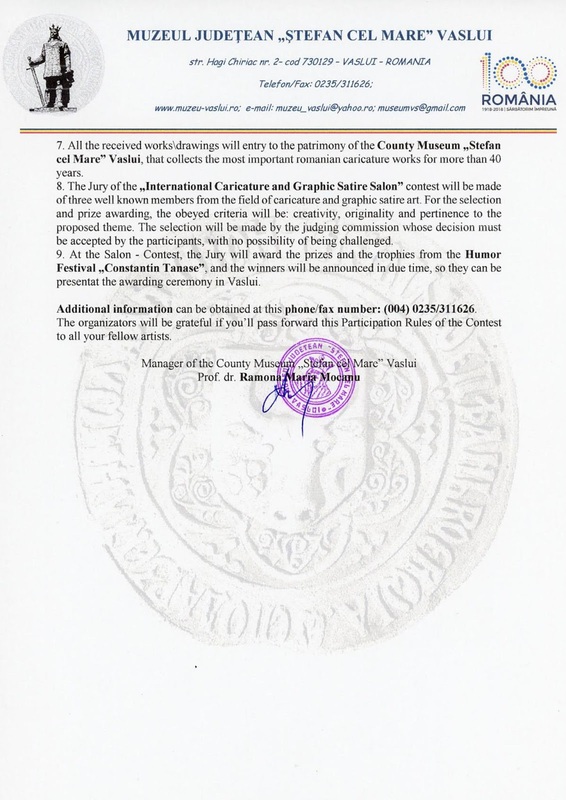 - On the back side of each work the contestant must fill in: the name, the surname, the address and the phone number. 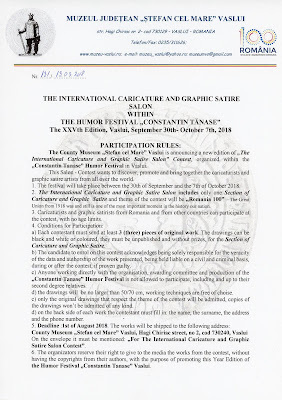 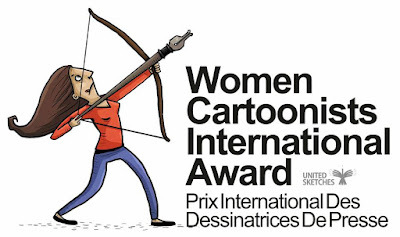 On the envelope it must be mentioned "For The International Caricature and Graphic Satire Salon Contest"